I received this catalog in my mailbox last week, and I still haven’t gotten to look at it because my girls are STILL circling things they want. . I mean, like they are going to get it all, but still, it’s fun for them. 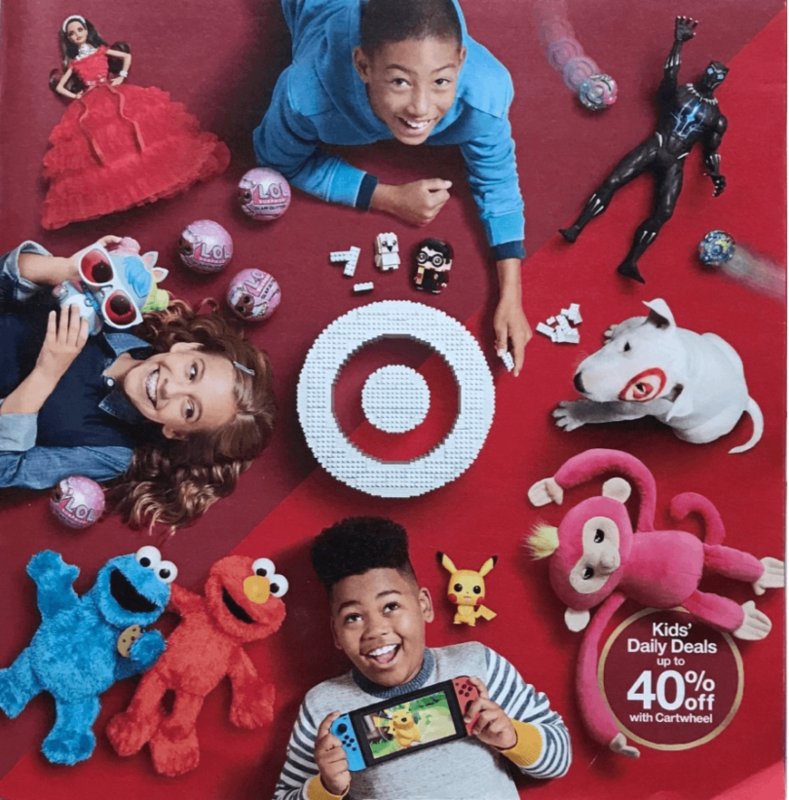 The most important thing to notate is the coupon to score a FREE $10 Target Gift card with the $50 toy purchase. If you received this catalog in the mail, be sure to take the coupon off the back before your kids get to looking through it. The coupon is good through November 10.